Congratulations, you have found one of the finest METAR applications designed for your iPhone, iPad, and Apple Watch. 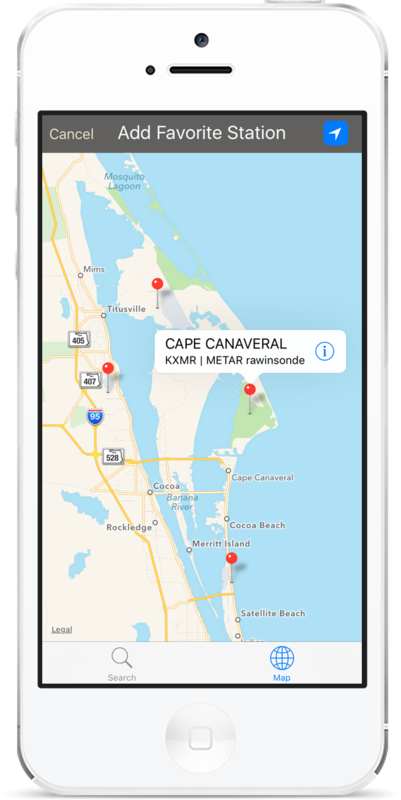 METARs Aviation Weather provides a quick and convenient way to access the world's most trusted routine weather report, the METAR. Used by pilots in their pre-flight briefing, the METAR report contains pertinent information including winds, visibility, clouds, temperature and other observed weather conditions. This application collects weather reports from your favorite METAR stations, color codes them to the appropriate flight category, and displays them in a format similar to that of a calendar, helping you to see trends at a glance. This app also includes a robust alerting system, which monitors changing flight categories and notifies you based on alert conditions you choose. We think you are going to love consuming METAR reports this way!